The Act creates a statutory entitlement for you (the Claimant) to be paid for construction work that you have carried out or construction related goods and services that you have supplied to your client (the Respondent). The Act covers ‘Construction Work’ which is basically all building and related trades, if you are a tradesman or a builder working for anybody other than a resident home owner the Act is there for you to get your money. (e) includes any operation which forms an integral part of, or is preparatory to or is for rendering complete, work mentioned in paragraph (a), (b) or (c); and Examples 1 site clearance, earth-moving, excavation, tunnelling and boring 2 laying foundations 3 erecting, maintaining or dismantling scaffolding 4 prefabricating components to form part of any building, structure or works, whether carried out on-site or off-site 5 site restoration, landscaping and providing roadways and other access works Note These examples are not exhaustive. The short answer is yes. The longer answer is that it gives you the best chance of getting your money. The keys to getting your money are: (a) Being able to identify your debtor (Respondent); (b) Knowing as much about them as possible such as where they bank and how to contact them; and (c) The Respondent’s ability to pay. If you have all of these things you have placed yourself in the best position possible to get your money. Have a question? Email us or ring 1300 76 86 30 for an outcome. A Payment Claim is the document that establishes the Claimant’s entitlement under the Act. The Respondent has 10 business days to provide a Payment Schedule. Day 1 is the business day after the Respondent receives the Payment Claim. Business days are not weekends, public holidays, or any days between 27th & 31st December. You have 10 business days to have your Payment Claim adjudicated under the Act by lodging an Adjudication Application. Day 1 is the business day after the Respondent provides the Payment Schedule. Business days are not weekends, public holidays, or any days between 27th & 31st December. What do I do if I do not receive a Payment Schedule? You need to wait until your Payment Claim has not been paid and then serve a notice under Section 19 (2) of the Act. Then at the end of the 5 business days or after you receive the Payment Schedule you have 10 business days to lodge an Adjudication Application (whichever is the earliest). Note: You only have 20 business days after the due date for payment of your Payment Claim to lodge your notice under Section 19 (2) of the Act. You have 20 business days after the due date for payment to have your entitlement adjudicated under the Act by lodging an Adjudication Application. Day 1 is the business day after the Respondent was due to pay the Payment Claim. Business days are not weekends, public holidays, or any days between 27th & 31st December. Your Adjudication Application must be lodged with an Authorized Nominating Authority (ANA). Some of these are listed on the useful information and links page. You must serve a copy of the Adjudication Application on the Respondent at the same time you lodge your Adjudication Application on the ANA. Remember in most circumstances you only have 10 business days to lodge your Adjudication Application. Adjudication under the Act is not like a court. Normally you will not see or speak to the Adjudicator. All of the submissions are made in writing. The Adjudicator has nominally 16 business days after you have commenced the adjudication process to provide their Decision. The Adjudicator should ignore any new reasons for withholding payment. You need to wait for 5 days after the Adjudicator has provided their Decision. Then if you have not been paid you can obtain an Adjudication Certificate from the ANA. Yes. If you have not been: (a) Provided a Payment Schedule and not paid by the due date for payment; (b) Paid the scheduled amount; or (c) Paid the adjudicated amount. You can issue a ‘Notice of Intention to Suspend’ under the Act. 2 business days after that notice is issued you may suspend work. If you are paid you must recommence work within 3 business days. It is strongly recommended that further advice is sought before suspending work. Have a question? Email us or ring 1300 76 86 30 for an outcome. You only have 12 months from when you last carried out work to lodge a Payment Claim. If you are asking this question you need to discuss this with somebody because this period is subject to certain definitions. Have a question? Email us or ring 1300 76 86 30 for an outcome. 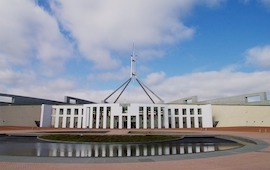 The Act has been in force since 2010. However NSW, Queensland and Victoria have similar Acts which have been in force for some time. During that time Respondents and their advisors have learnt a few tricks that may trap or trick inexperienced Claimants.